Founder and licensed massage therapist, Pam is the heart and soul of this unique studio. She designed this practice in Florida to remain a small, private studio offering clients an effective and personally tailored massage experience to achieve individual wellness goals. 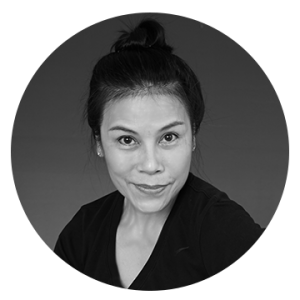 Born in Bangkok, Pam’s true passion lies in creating a unique massage that bridges ancient Thai massage and modern sports massage. Pam’s studio is unlike any other. Her precision skills and training intuitively release your body from it’s own barriers. Pam tries very hard to offer her clients unique sessions focused on relieving each client’s specific muscle complaints while leaving them relaxed, rejuvenated and ready to take on their next challenge. Her clients include professional and amateur athletes, corporate and domestic executives, government officials and people from all walks of life who value the benefit of improved health.